Tom could no longer use his original book designer and needed to make corrections to his book. He had an InDesign file, but not all the images and fonts. Consequently, the book would have to be redesigned. He gave up due to the expense. Mark’s publisher reverted his rights to two books, but wanted to charge him for the PDFs, the only files they were willing to provide. Rita used Apple Pages to design her cookbook because it is so easy and fun to format the headings, columns and visual elements. Unfortunately, all her work was wasted effort because it was unusable when the file was converted to an eBook file. Adding insult to injury, Rita had to pay extra to remove the extraneous formatting. All Michael had was a physical book. With no source file—the file used to write and design the book—it had to be scanned and proofed before it could be designed, which added to the cost of publishing. Owning and protecting your book files is one of the most important things a self-publisher can do to avoid problems like the above. You never know when you may need to make a correction, or wish to come out with a new edition. If you plan to hire a publishing services company, freelancers, or use a vanity/subsidy press, ask if you will receive the files used to publish your book. These are called source files, which is not to be confused with a PDF. Finally, understand the risks if you use web-based publishing tools. These tools allow authors to type or paste their text into an online program, and then design their book. There is nothing inherently wrong with this, as long as you are able to retain a copy of what you create. If you leave it with the company, and they go out of business, you are in the same place as Michael and Tom in the above examples. Source files are files that can be edited or changed. A Word document is a source file. A PDF is not, it is created by a source file. Sometimes a source file is a collection of files, as is often the case with InDesign (see below for a description of this format). This is exactly what happened with Tom’s hiking book. His designer gave him the InDesign file, which had the layout and text, but all the images and fonts were missing. We would have had to add his photos manually and substitute fonts. If you want to make changes to a book, you usually need the source file or files. I had one client whose book was reverted to her by Hay House, and all Linda had was the PDF. In this case, we were lucky because the original book size was very close to a size available on CreateSpace. We couldn’t make corrections to the file, but we could at least print it. What about web-based publishing tools or programs? Online tools have become popular in the past 5 years. You copy and paste your text, or type directly into the browser-based online program, add elements like images and format the text, and push the publish button to get a formatted file. The disadvantages: It is proprietary. What if the vendor goes out of business and you want to make changes? Also, read the agreement closely. Will you need to buy or use other services, or have your rights limited in some way? Will you be required to add their branding to your book? If it’s free, there is likely a catch. Using these proprietary online tools is no different than using a traditional software program. Make sure you understand any limits to your ability to make changes, download backups, and retain access well into the future. Don’t forget that your time has value. There is the time needed to enter and design the book, and the possible time to reformat it if you need to make changes. Understand the limits of file conversion. Word documents are commonly converted to InDesign files, but the reverse is not possible without impacting the formatting. Generally, you can exchange files created by the same software, but conversion can also be a one-way trip. The more popular the software, the more people you will find that can help you. If you create a cover in Photoshop, you’re golden—thousands of designers use this program. Less so with other design programs. By no means am I saying these are the only programs to use, or the only file formats used in publishing. Far from it. But they are arguably the most common tools and formats in use today. They are also well supported and widely used in the publishing community (if not the public at large). Microsoft Word. Word is the most commonly used book writing tool in use today. It is easily shared, and can also be used to design books (ideally using professionally designed templates like these). The source file it creates can be opened by virtually any other program. Like the lesser capable Google Docs, it too can be used for free online. Adobe InDesign. There are many software programs that can create a nice-looking book, but InDesign has emerged as the most popular. It continues to get better and there is a large support community including training programs. The files it creates are source files. Adobe Photoshop. The same can be said of Photoshop: lots of competitors, but it has achieved near universal acceptance as a standard professional publishing tool to design covers and graphics. The files it creates are source files. Adobe PDF, Portable Document Format. Most programs can create a PDF these days, and most computers can open the files. However, these files cannot be edited. You’ll need the source file, the program that created the PDF in the first place. Kindle Mobi. One of the Amazon Kindle file formats. Amazon supports several Kindle file formats but Mobi is the most commonly used format by self-publishers. EPUB-reflowable. 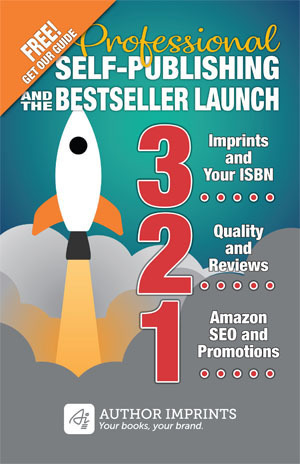 A so-called industry standard eBook format because it is supported by virtually all publishing industry stakeholders. As such it has wider support for producing the files, and editing them. They are also easily converted to Mobi files. EPUB-fixed format. A format used for displaying highly designed books because each page is fixed, like a PDF. The advantage is that they can be sold in online bookstores. Again, there is nothing inherently wrong with using other programs to create a book. Tools like Scrivener, Pages, OpenOffice, Google Docs and Quark all have loyal users. When I first started using computers more than 30 years ago, there were no standards for exchanging files. With more than a dozen word processing programs in wide use, and no PDF format, we’d have to ask the receiving party what software they used if it was a file that needed to be shared. Unless we could convert the file, it would have to be retyped. Every PC was an island. Fast forward to today and we don’t think twice about it. Word and PDF files have become de facto standards, but that may be changing. Use or insist on commonly used file formats. Ask your designer or self-publishing services company what programs they use. Maintain ownership and control over your source files. Keep them safe, including any images or other elements used in the book. Retain versions of your files in case you need to go back to a previous version. What tools have you used? How do you protect them, or do you? The AuthorImprints Difference: you paid for them, they are your files. If we create your book, you get the source files. No questions asked. Your books, your brand. I have worked a long time on my book – a Nature book for Children – and am finishing up checking the photographs for the proper 300 dpi. The book trim size is an 8×8 gift book, with hard cover. I need heavier paper than Create Space offers so am looking at going with IngramSpark. I have created each page with Microsoft Publisher and have saved each page in RGB color space, and also in CMYK. However, I am stuck! So near the finish but yet so far. I have made the front and back covers but I don’t know how to make the spine. The back cover has a blank space to put an endorsement from Audubon or Cornell Ornithology (if I can get it). Therefore, I’ll need a few Advance Reader Copies before the final printing. Can you help me with the finish of this project? And if so, what would be the cost? I am so glad I found your website – you’re emails have been so informative. they’ve helped me know what I don’t know and perhaps how to find out how to get out of being stuck. Forgot to mention that I have my own ISBN and bar code, but I’m not sure how to add them to the back of my book. Hi Patricia. Sounds like a great project. I’ve used Publisher for lots of small design projects but my assistant designs our books in InDesign. For the cover, it seems to me you could find someone on Fiverr to take the Ingram template, and drop in your PDFs, and add the spine. It would be more expensive if we did it and in the end the file would be InDesign and you wouldn’t be able to easily make changes (for that endorsement!). Make sure you get the source files from whoever does it (see my post on that topic). Btw, the IS paper that is thicker is not coated. Nevertheless, perfect for ARCs and affordable b/c it is POD. Hello again, Patricia. The barcode and price can be added (free) when you download the Ingram templates, which tells you or the designer where it belongs. I already suggested a solution for the cover. If that doesn’t work, or you need more guidance, fill out the contact form on AuthorImprints.com and I’ll give you a quote.